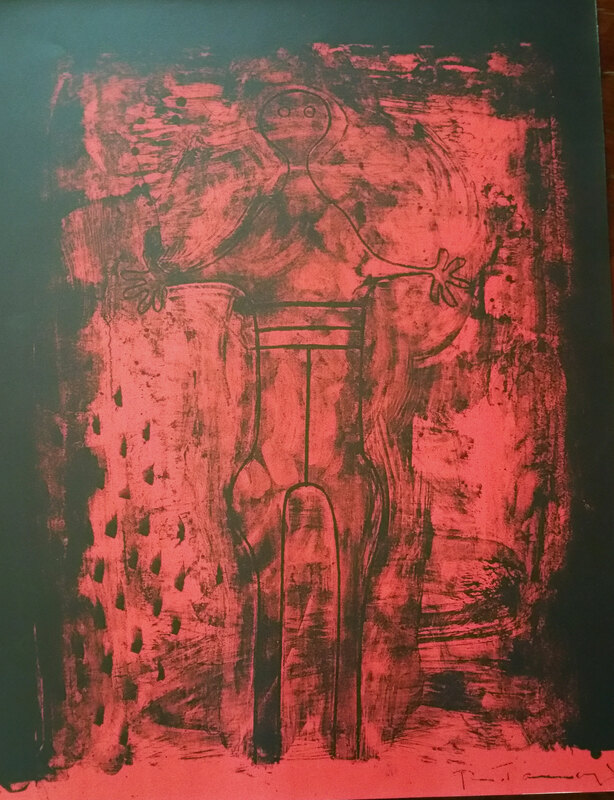 This beautiful print is from 1969 and is a surrealist rendering of a figure in a vibrant shade of red and black. It is signed in the plate and is not from the hand-signed and numbered edition but is like the edition prints in all other ways. 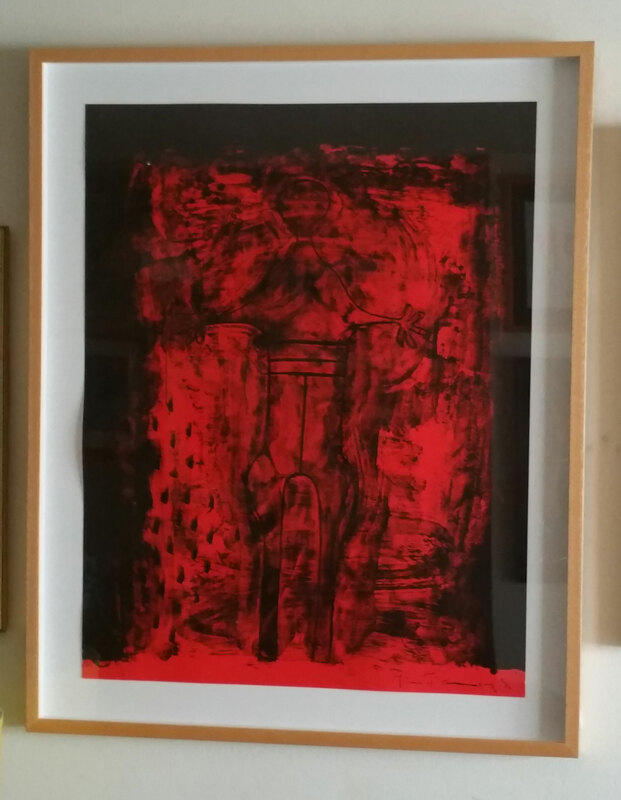 This is a good opportunity to own a Rufino Tamayo print without the high price tag. The print is beautifully archival framed. It floats on a white backboard with natural wood frame and plexiglas. Inks run to the edge of the paper, exactly like the signed and numbered.